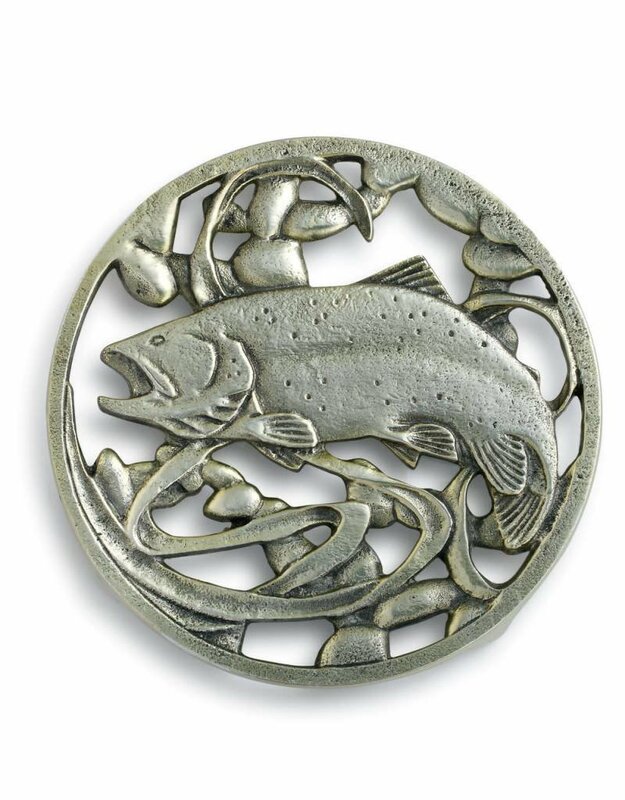 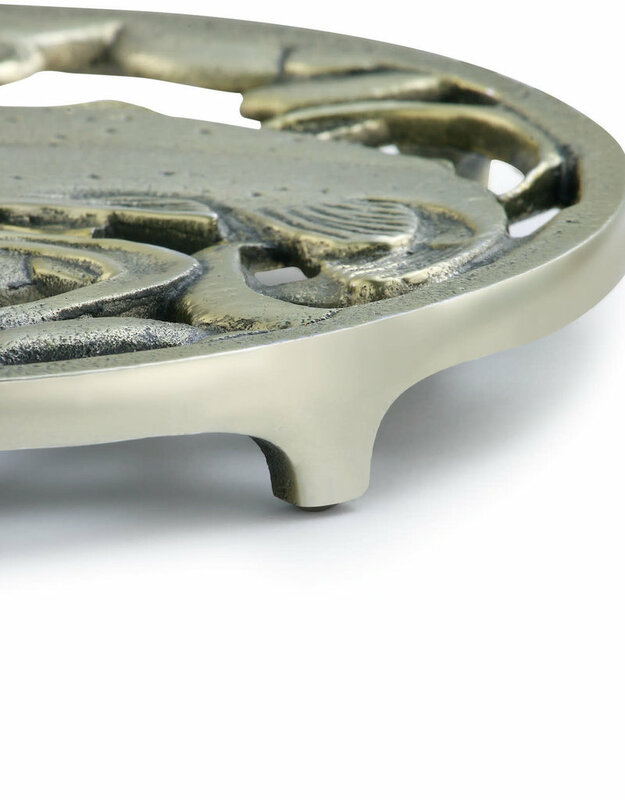 This 8" round cast aluminum Rainbow Trout trivet is a wonderful addition to the kitchen decor of your cabin, lake house, or country home. 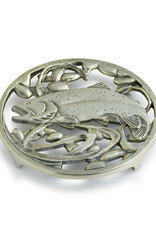 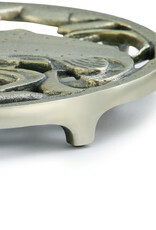 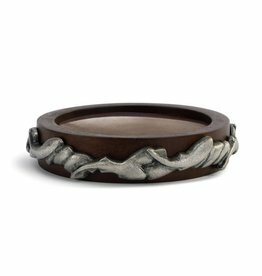 The sculpted details of the original carving are showcased in this functional piece of art. 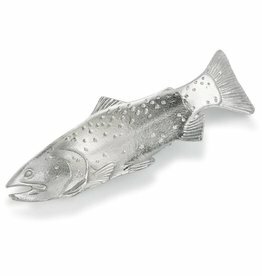 Give this beautiful décor item as a gift to the fisherman in your life, or use it in your own home to bring the joy of fishing into your kitchen. 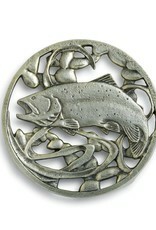 Great gift idea for the fisherman. 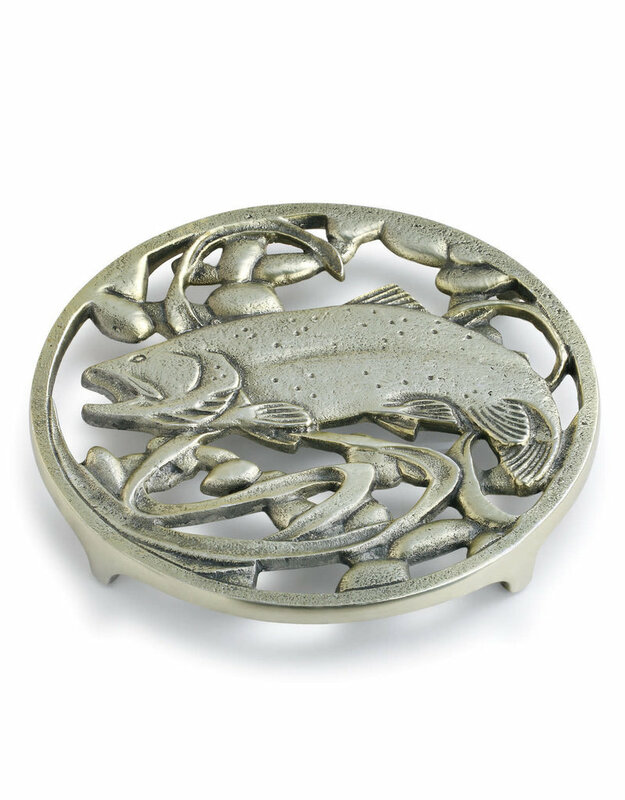 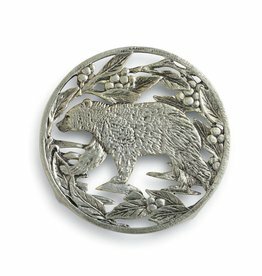 Perfect for your cabin or lake house décor.